It’s no wonder, since access to thousands of gaming apps. are available with just the touch of the screen! And to many children, guess what will seem more entertaining? If you guessed gaming, then you guessed right! Many children choose “gaming” over reading. I love technology! I honestly do. There are so many beneficial uses for technological devices. Think about it…we now have access to millions and millions of articles and posts dealing with just about anything we could ever want to know, just by typing in a few words! Now, that is cool! Many students are also now able to complete research projects on their devices, do writing assignments, as well as read books and do many other educational tasks. Kids can now read books on their tablets. The use of computers, tablets, and even cell phones can be wonderful for those kids who use them wisely. I’m not talking about spending every single hour they are awake for learning! I do believe there needs to be a balance between work and play. I just think that kids need to use their devices for the right purposes. Kids need to use their devices wisely! However, for some students, technology simply represents play time, as they spend countless hours a day playing games, in favor of doing their homework or relaxing with a good book! Believe me…I should know. Kids “gaming,” and loving it! 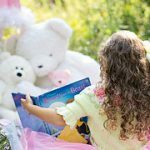 In this post, I would love to share with you some ideas for actually motivating your children to read, as well as keeping them engaged in the story plot of each book or story. I will begin with ideas for the babies, and work my way through elementary school. 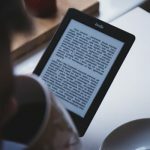 I would like to introduce you to to of the best new and used online bookstores that I have found. They have just about every children’s book you could want at unbelievably low prices. Plus, both of these bookstores are major philanthropic companies, donating books to kids and adults who otherwise would not have the chance to have their own books. Please feel free to check them out. I hope you’ll be pleasantly surprised! 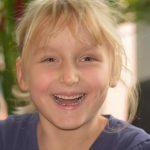 If you would like to inspire your child, please check out Christianbook.com. They have an unbelievable assortment of Christian books, gifts, and other resources. This is where I shop for great deals on spiritually uplifting material! It’s never too soon to begin reading to your child. In fact, studies have shown that the earlier children are exposed to literature, the sooner they will begin to read and write, in many instances. And, who doesn’t want that for their child? We, as parents and educators, all want our kids to succeed in all areas of life. So, we must start when they are just babies. I have even seen many “soon to be moms” reading to their bellies when they are pregnant! In fact, the husband of one of my close friends used to sit beside her every night when she was pregnant, and read to their unborn child! It goes to show that it’s never too early to begin! Even babies love to be read to. There are several ways to keep your babies engaged while reading to them. Babies love the texture of cloth books, as well as board books. These would make great starter books! As you introduce these books to your baby, you may find that your little one will mainly want to “touch” and turn the pages over and over! They may actually even try to “eat” a page! This is perfectly normal. Cloth books make great starter books for babies. 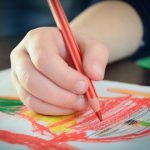 Soon though, as you begin to read the words to them, whether there is only one word on each page or more, your child will begin to grasp the idea that each word aligns with a picture. For example, a page with a picture of a duck will usually have the word “duck” on that page. They will eventually come to associate that word with the picture! And yes, even babies get excited when they learn new things! 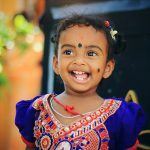 Babies get excited when they learn new things! Reading to your baby early on also teaches them valuable communication skills. When they hear you reading, using expression and enthusiasm, it helps to positively stimulate them to enjoy the stories more, as well as help them learn to speak more fluently later on. 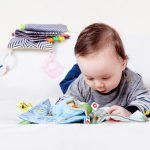 As an added bonus, the close one-on-one attention they receive while you’re reading to them fosters more bonding between the two of you, and makes your baby realize that reading to them is an important part of your everyday life, as well. As children advance in age, reading to them becomes even more critical. They should now be at the point where they are engaging more with books and asking questions. This is what you want! I’ve included a really cute video of different things you can do to make the stories come alive from The Atlanta Speech School’s Wardlaw School. I hope that you’ll take the time to watch! Use Different Voices for the Characters! 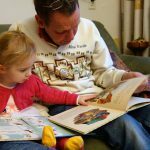 If your child is not paying attention while you’re reading, try using different voices for each character in the story. You may even choose to “act” out certain parts of the story! Make it fun! I guarantee that your kids will love to see you acting silly! It may also serve to help you relax from a grueling day at work! Who wouldn’t want to see their child smiling, especially when you’re reading to them? After you read a few pages, try asking them questions such as, “What do you think will happen next?” Or… “What did you like best about this book?” If your child can give you an answer, no matter how short, you know they’re listening! This, in addition, will foster the much needed attention skills that they will need as they enter prekindergarten, and even kindergarten. Keeping your toddler engaged in what you’re reading is worth the effort! Another fun thing would be to let your child draw a picture of his/her favorite part of the story. Then, have them tell you what they drew. Even if they’re just babbling, it will definitely be worth it! It’s fun to see what toddlers draw after being read to. In a previous post, I talked about the importance of getting your child ready for kindergarten. 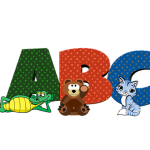 Teaching your child the letters of the alphabet and the sound that each letter makes is just one thing you can do to help your child achieve “reading readiness.” Actually, this is probably the single most important thing you can do at this stage to help your child become ready for a lifetime of learning. All children need to know their letters and sounds early on to ensure a successful educational experience. Once they know their letters and sounds, they are ready to put short words together. In another post, I discuss how I begin teaching reading to the younger kids. At first, it will probably be slow going. So, don’t be alarmed! Just be happy that your child is actually beginning to read! As your children pick up more momentum with their reading, please be sure to continue reading to them every day. You might increase the amount of reading time by a minute or two every time you read to them to help them stay focused. This is extremely important! Now would be a good time to bring in comprehension questions to make sure they are understanding what you, or they, are reading. Some good examples of this would be, “What is the problem in the story?” “What happened right after…,” and even, “What did you like or not like about this story?” This will help to ensure that they are ready to start kindergarten. Preschool and kindergarten kiddos need to engage with books on a daily basis. Ways to Make it Fun! When I taught prekindergarten and kindergarten, I used to have a reading corner with lots of cushy pillows, stuffed animals, comfy chairs, and lots of books! My kiddos would absolutely love to sit or lay across the pillows and chairs, and “read” to each other, or even to a stuffed animal. It was extremely cute to watch! It’s so precious to watch the younger children reading or “pretending” to! 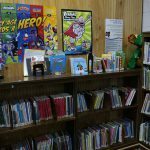 Another way to keep the younger children engaged in reading is to check out your local library to see if they have “Story Time” for the little ones. Many libraries have story time on Saturday, so that parents will have time to bring their children in. It’s good for your child to hear other adults reading! One final thing you might try to keep your prekindergarten and kindergarten children interested in what you’re reading is to reward them for listening. 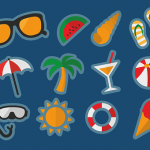 Kids love stickers, stamps on their hands, and small prizes! Try giving your child a sticker when he/she listens to you read! If they know they will be given a “prize” for listening to a story and participating if you ask them questions, they will more than likely be sure to pay extra close attention! If you’re one of the many parents who have kids who are finicky and just can’t seem to “get into” a book, I encourage you to keep reading to them. It would also be great if they could see you reading books of your own. This will show them that you value reading. It’s always a bonus for kids to see you reading, as well. I know that it may be difficult to find time every single night due to busy schedules. However, even if you’re only able to do it once every few days, it will make a big difference! Let Your Kids Read What They Want to Read! Ok, I know some of you may disagree with this. I used to, but now that I let my picky readers read what they want to read, including graphic novels and cartoons, at least I know they’re reading something that they enjoy! There’s nothing better than seeing your child happy while reading! Don’t you just love to see your kids happy? Why Not Try Kids Magazines? Another way to engage your elementary aged children in reading is by letting them read magazines for children. In another post, I talk about the children’s magazines that I highly recommend for kids 12 and under. If you’re interested, I hope you’ll read it! One magazine that I absolutely love is Highlights For Kids. I actually read this magazine when I was a little girl! I remember getting so excited whenever I got “mail” with my name on it! I can’t recommend a better periodical for kids! These are equipped with wonderful stories, word searches, mazes, and so much more! Another great magazine for the “animal lover” in your child is the Zoobooks Magazine. These magazines give wonderful information and extraordinary pictures of all types of animals! 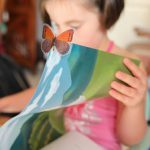 They are extremely informative and fun for children who are inspired by animals. Right now, they are offering free gifts with a subscription, including a free digital subscription! Please feel free to look around and check this out! 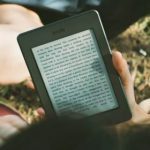 I hope I have given you some ideas that you can use to engage even the pickiest of your readers in some great books, magazines, and even eBooks. I would love to hear from you! If you have any comments or questions, please leave them below, and I will be sure to get back with you as soon as I get a chance. And, as always…Happy reading to you and your child! Love these tips! I’m sure my baby brother will really enjoy story time now! I like the fact that you suggested different voices for the different characters! 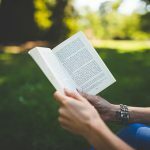 I’m glad I found this article, as I was wondering how to encourage those kids to pick up book reading. It is certainly helpful to know some tricks to make it fun! Thanks again for this good read. Bought some reading apps for my grandchildren and the results are amazing indeed. Just like you, I found the ipad to be the most suitable since it offers a lot more. They read at their own pace. And there is an interaction with the reader… that does not exist with a book. I’m entering the Early Childhood sector in a few years time, and I’m really in need for a stockpile of children books – and guess what? I came across your post! You have indeed brought up a few great points, but I would like to share a different opinion. You mentioned rewarding children with stickers or small prizes for participation or correct answers. However, I feel that such act will foster reading as a type of external motivation instead of internal motivation – children will only read/pay attention to you when they know they will receive rewards. If they don’t get any, they lose the motivation to listen or read. This can be detrimental to their life-long learning when they have to self-study starting from college or even high school. Hi Rachel:) Thanks so much for your opinion! I agree with you about not using stickers as rewards all the time. There have been many instances over the last 31 years when I’ve used them with my younger kiddos. It just seems to jump start them to get their listening skills going when they’re having trouble paying attention. Then, I will usually wean them off slowly. I appreciate your feedback, though. I wish you and your children all the best as they embark on this journey of life long learning! Hi Suzi, these days when parents are so busy, it is sometimes hard to find the time to motivate children to read. Your mention of the value of bonding this way is timely, especially in these days of privacy using tablets and cell phones. My daughters got into reading mostly because they saw me taking time out to read my own material, and they were taken along to book fairs and story telling sessions at the library. I wonder how would children develop a love for reading if their parents are not in the habit of reading? This is a very good blog. I have a toddler and he is very much into hi-tech stuff due to his older brother who has a mini I-Pad. We were thinking to buy for him a small tablet too so he can start his reading there and some educative games. Reading your post explains a lot of things to me. Great tips! I have a very reluctant reader, always looking for new ways to encourage her. I must admit you covered every possible way to encourage children to read plus the benefits of children reading regularly, I do agree technology is a great research to encourage your children to read more. Instead of lugging books on road trips they can take their favorite technology device, I have experienced many children today are not learning to read as well as when we were kids so why do you think this is ? Hi Jeff! Thank you so much for your insightful comment:) I have a private tutoring business that I own and operate, and I am finding that many of the kiddos I have recently picked up just can’t seem to grasp the concept of reading. I think there are many factors for this. For one, many of the schools have taken phonics out of the schools. My first year teaching was a nightmare, to say the least. I taught 1st grade, but was told that I couldn’t use phonics as a way to teach my students to read. What a shock! By the end of the year, only 5-10 kids were reading. I felt horrible. The next year, my district let us bring phonics back into the curriculum, and what a difference it made! It seems that many districts have certain trends that they follow from year to year. It’s sad that so many kids can’t seem to read on grade level, much less enjoy it. This is truly one of the drawbacks of trying “new innovative” learning techniques for teaching reading. Again, I appreciate your comment! Great article! I completely agree that while technology is great, it can be very detrimental to children if all they do when they come home from school is play on their phone or computer. Parents should definitely try to get their children to read more as it has many very important benefits as you’ve mentioned. It all starts with the parents I suppose, and looking back at my childhood, I do wish my parents had guided me more towards books and reading and learning and kept me from wasting my time on video games too much. Hi Miguel:) I totally agree with you when you stated that everything starts with parents! I think that parents, as well as caregivers, are extremely instrumental in jumpstarting their children’s education. I believe that it has to be a collaborative effort between the child’s home and the school in order for kids to be successful:) Thank you so much for your insightful comment! I remember when my son was young, we used to enjoy reading to him and he really looked forward to those bedtime stories. Growing up, he enjoyed reading, as part of his homework, but now that he’s 13, he’s not into it anymore. You’re right, those mobile devices and video games have stolen his love for reading. I don’t understand why schools have used the internet fully to post homework and even allow kids to just research online to accomplish these. My son is so smart, in between those homeworks, he would sneak into his video games and play, so I know that he cannot focus in his work. That’s my struggle for now. Any suggestions? Hi Marita:) Trust me, you’re definitely not alone in this! I work with kids almost everyday, and a majority of them would rather play video games and watch Youtube videos, in lieu of reading a book. I think it’s the day and age we live in. And, yes…a majority of the school districts are having the kids complete and turn in assignments online, instead of turning in paper copies. 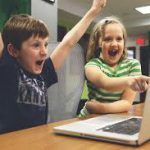 To answer your question, you might check your son’s device to see if there is a way to set a time limit for the amount of time he can play his games. Some of my clients do this, and it has really cut down on the amount of time they are able to stay on their phones, iPads, etc.. per day. I always tell my kiddos that I will be just as happy if they’re reading a book online, as if they’re holding the actual book in their hand:) You might download a book of your son’s choice, and as he reads, have him write out short summaries of each chapter, just to make sure he is reading!!! Thank you so much for your comment! I wish you and your son all the best!